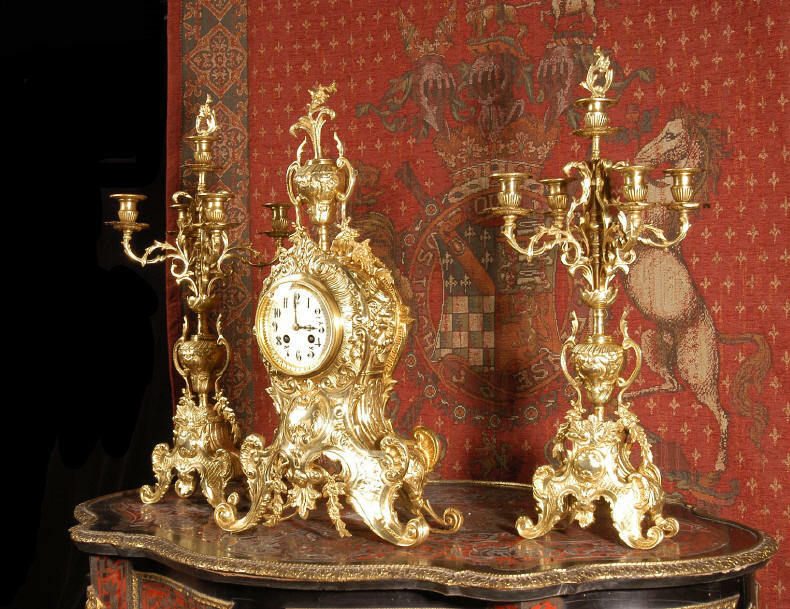 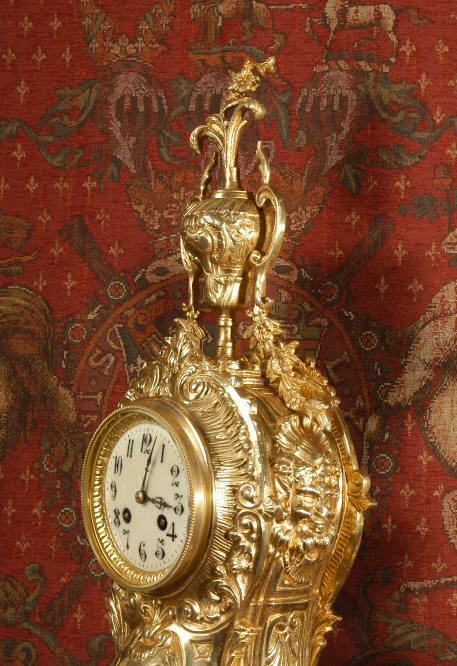 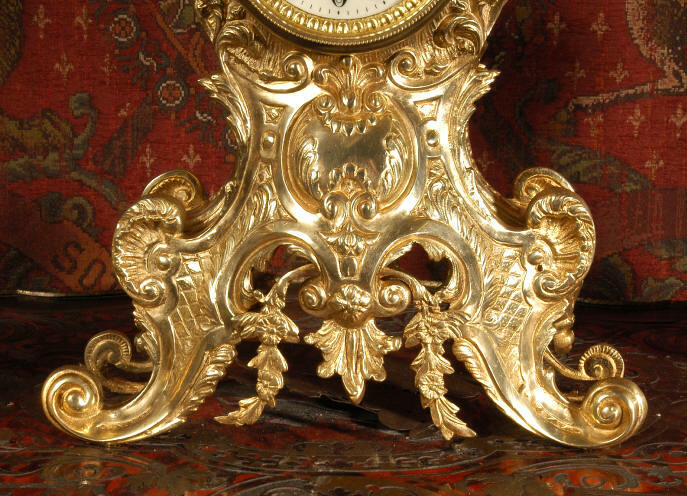 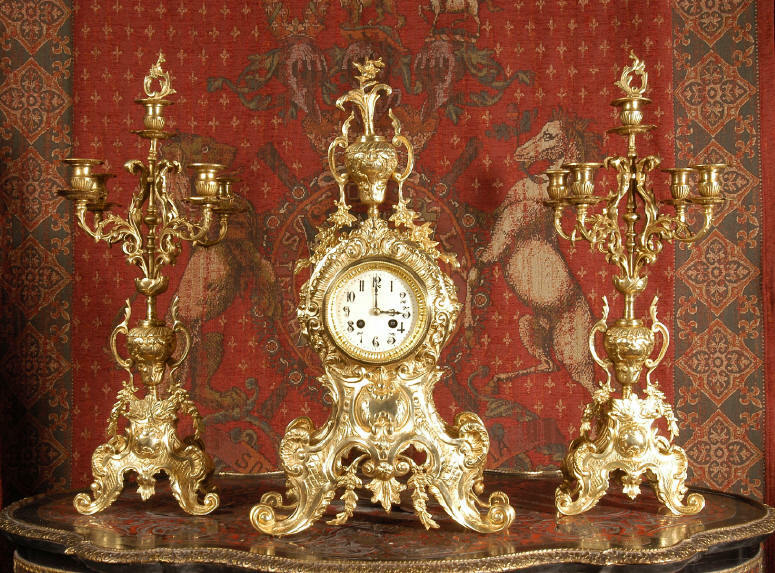 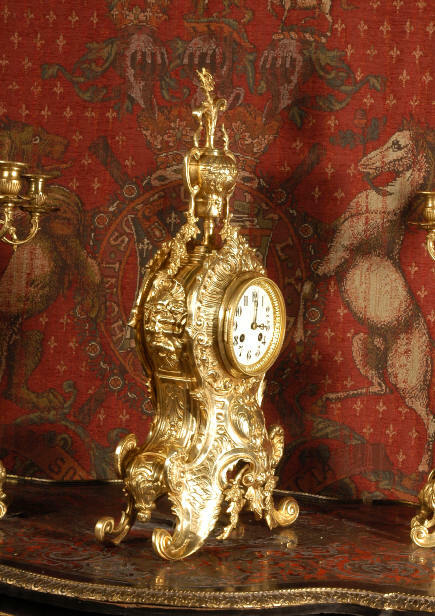 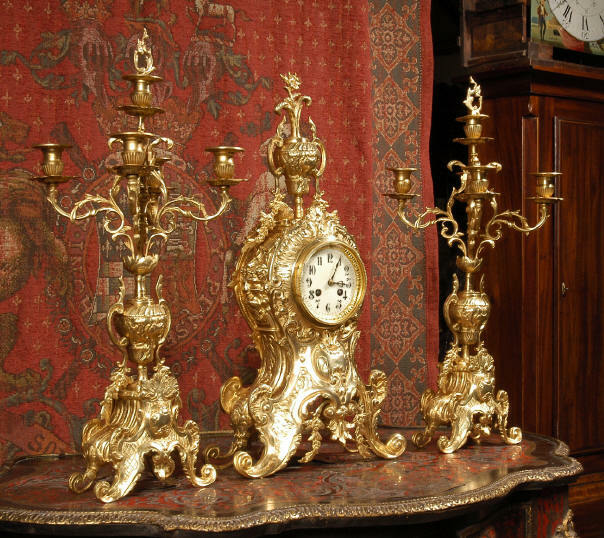 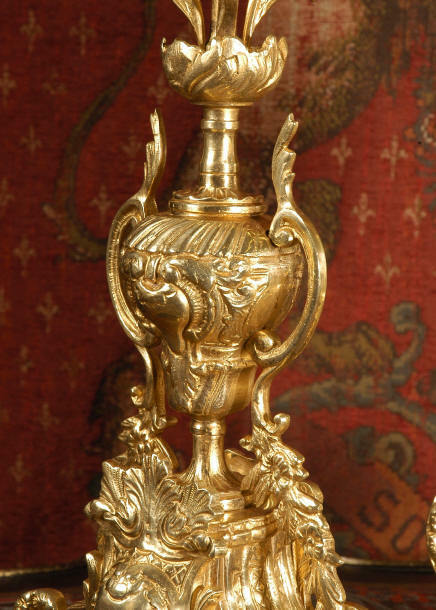 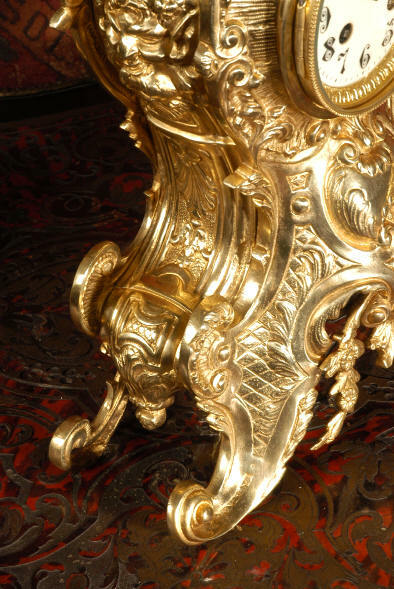 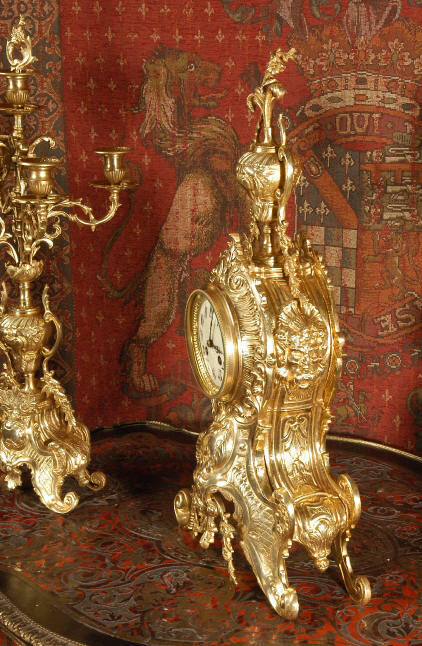 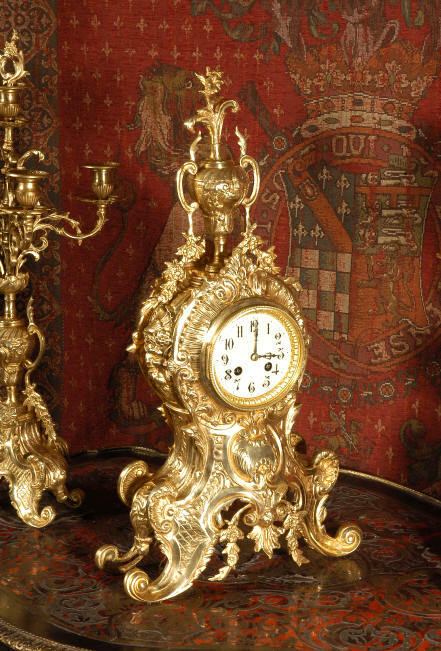 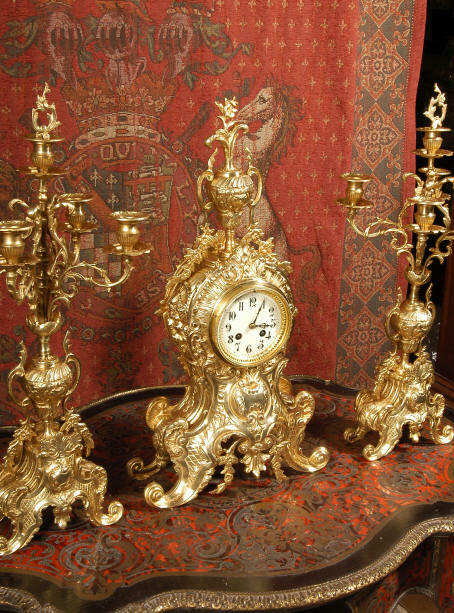 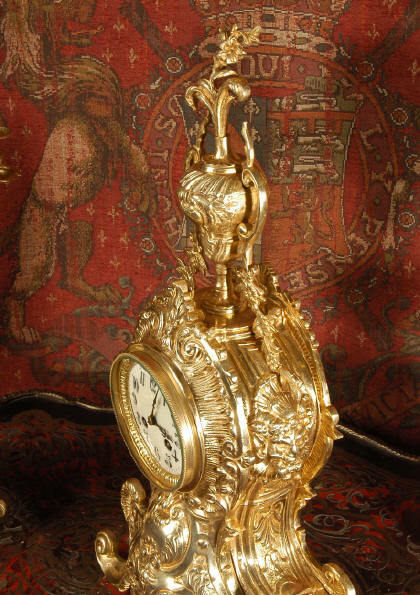 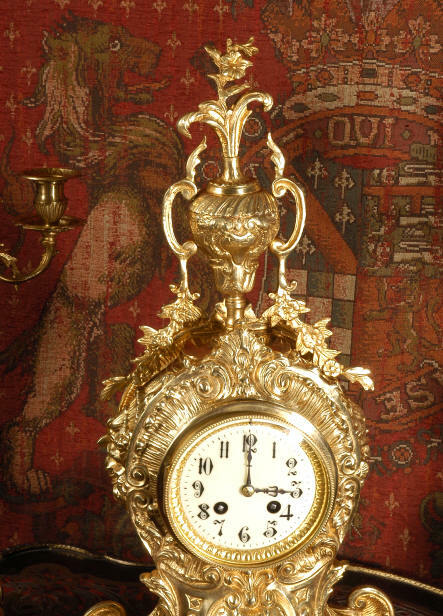 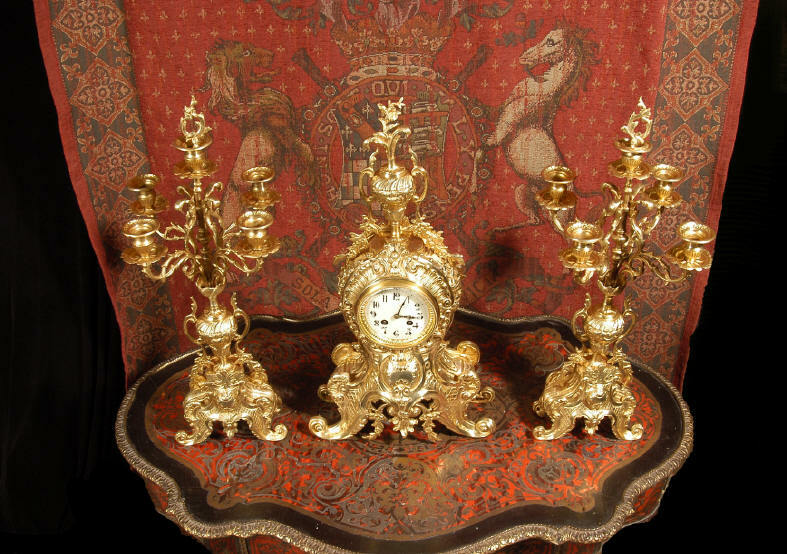 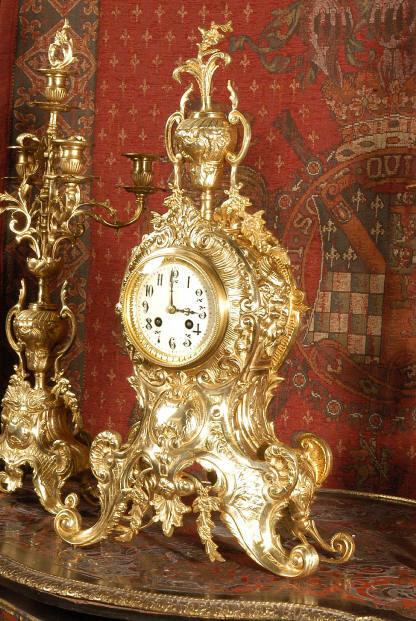 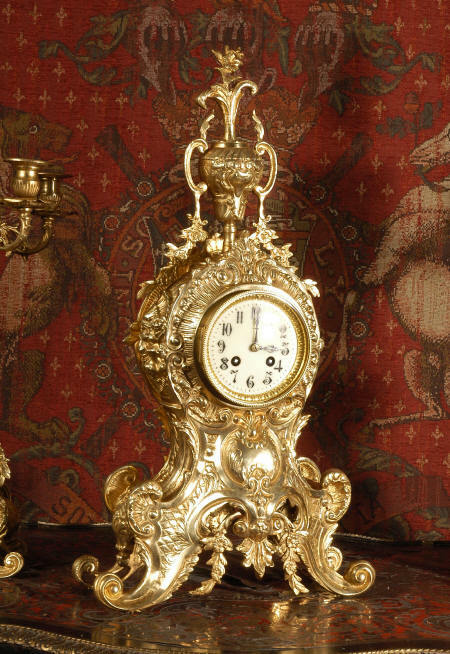 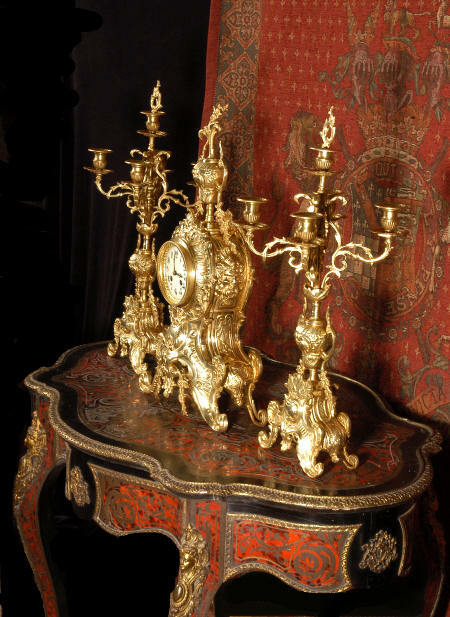 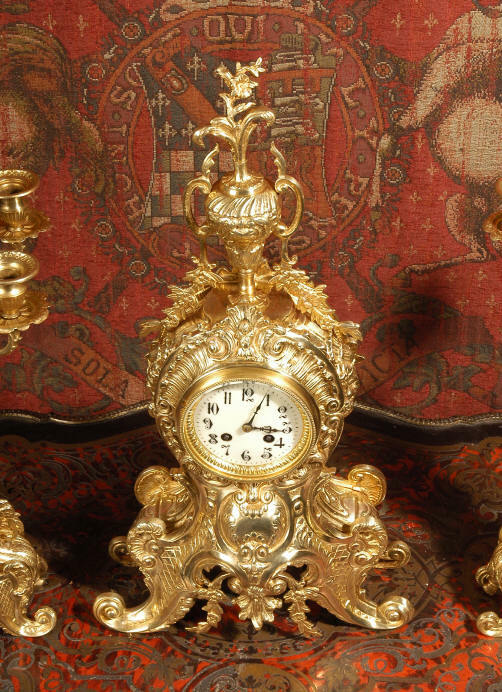 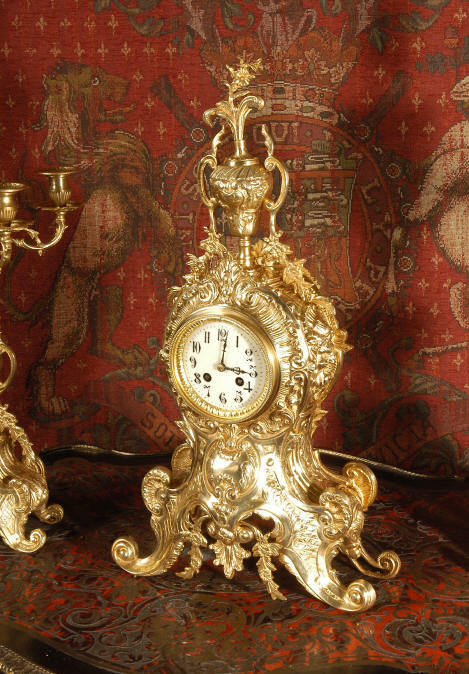 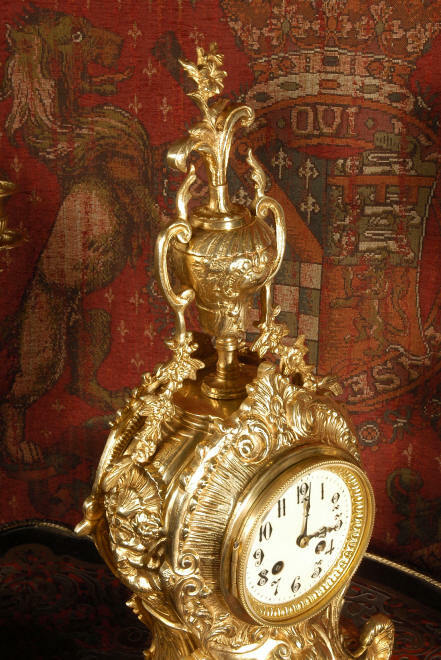 This is a large and decorative clock and candelabra set, beautiful Louis XV waisted shape with "C" scrolls, shells and floral swags. 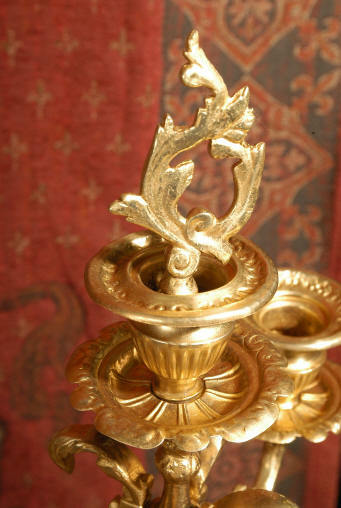 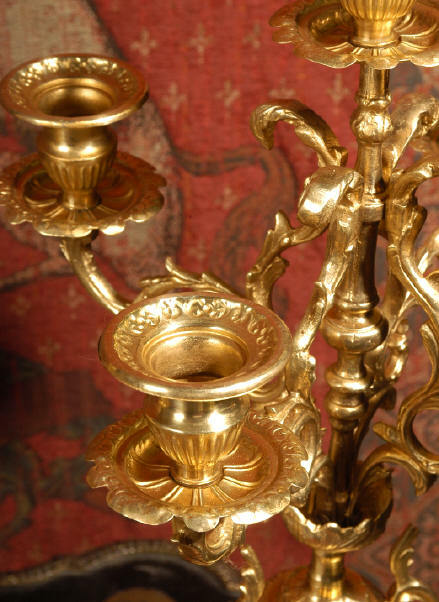 The set is very well modelled in gilt brass which has a lovely clean and bright finish. 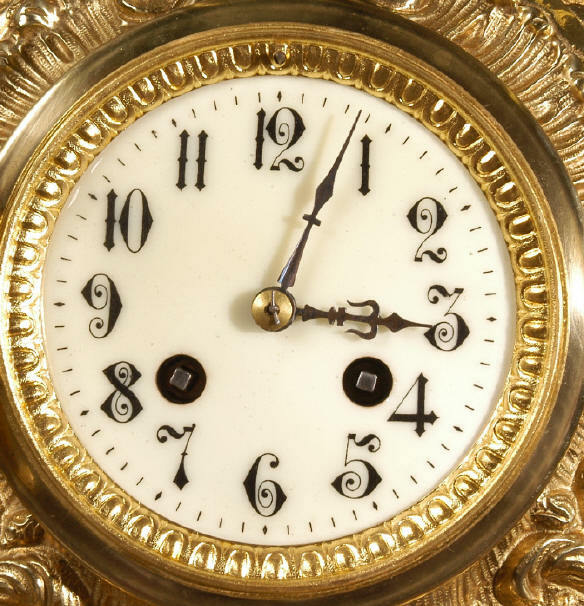 Dial is enamel on copper with original delicate blued steel hands. 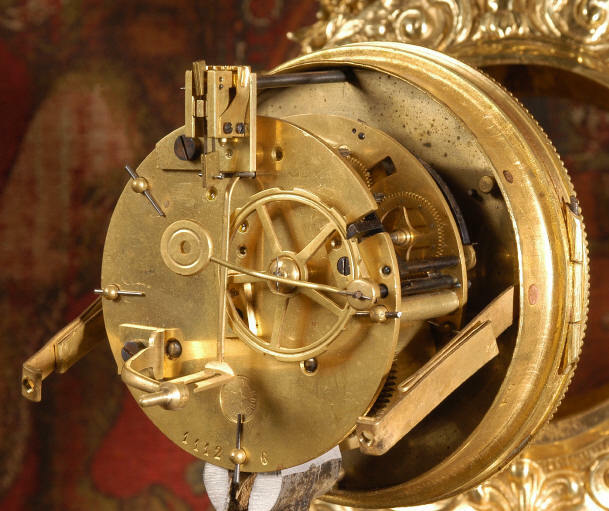 A D Mougin movement is of excellent quality, runs for 8 days and strikes half-hourly on a bell. 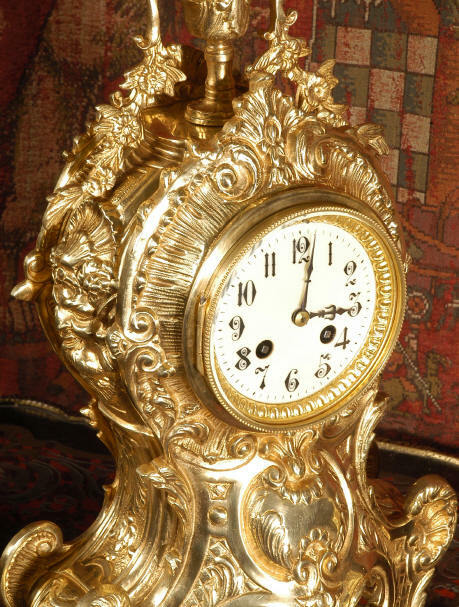 It is in excellent clean and running condition having been fully overhauled by our clockmaker. 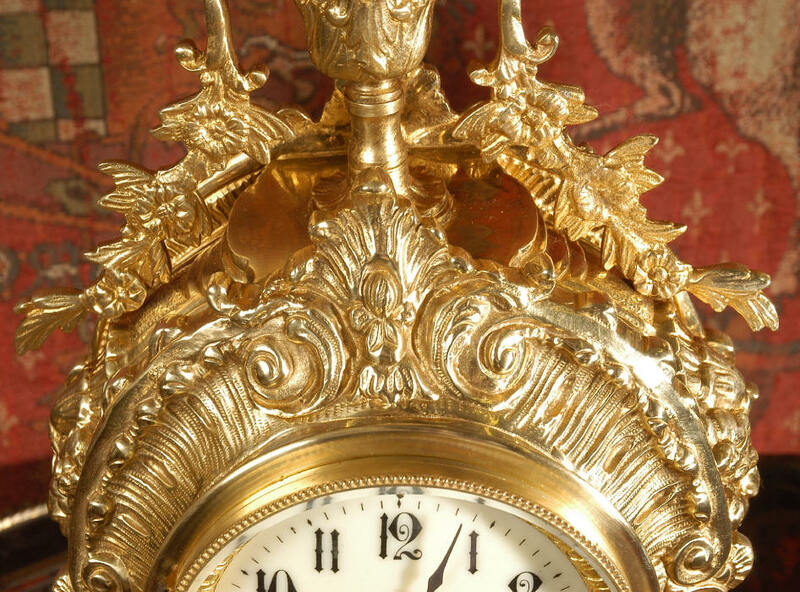 We have replaced the missing pendulum. 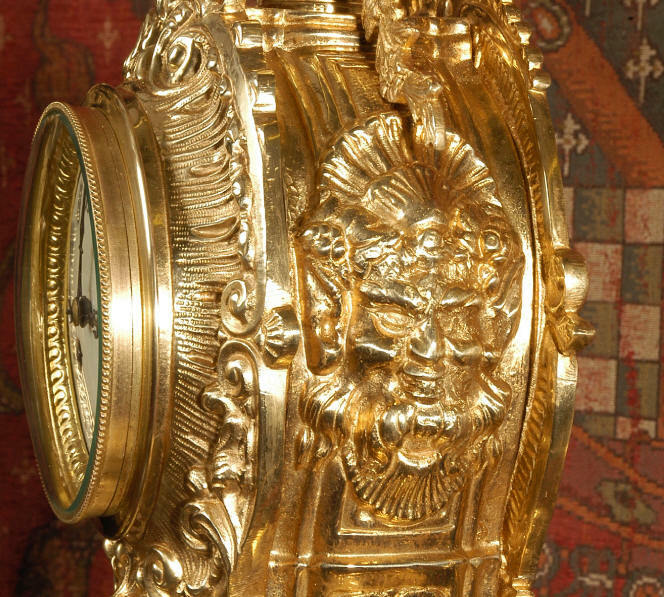 Click the movie below to see and hear the movement working! 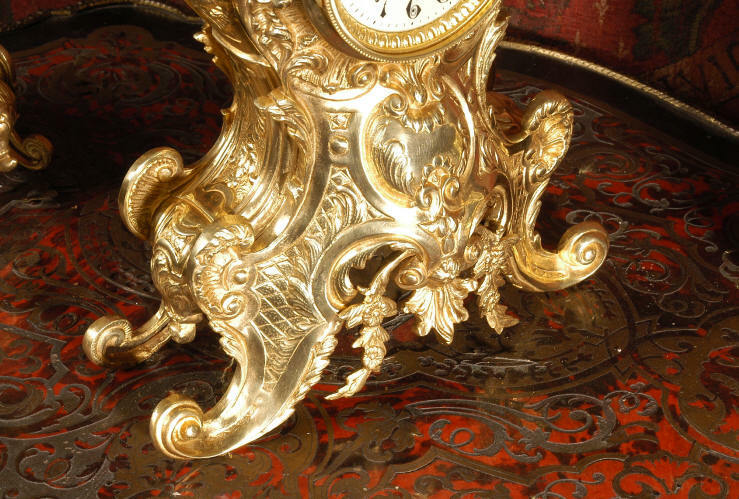 Condition of the case is excellent with a bright and clean finish, some minor wear on the high spots. 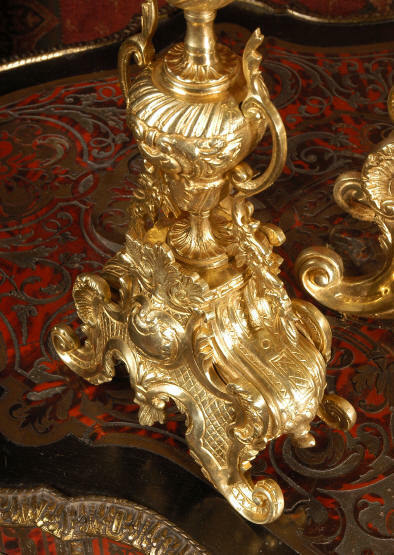 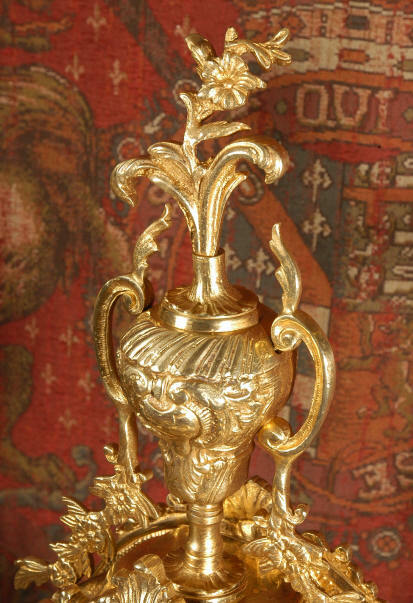 There is an old repair to the floral swag on the right hand side of the urn which is not noticeable on from the front and hardly noticeable from the rear. 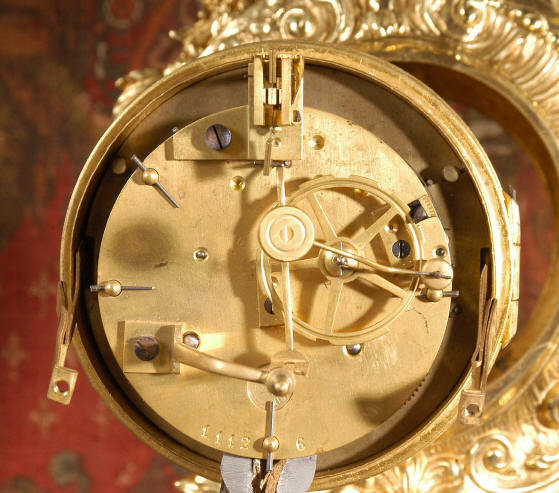 Dial is also in excellent condition with just some minor chipping around the winding holes. 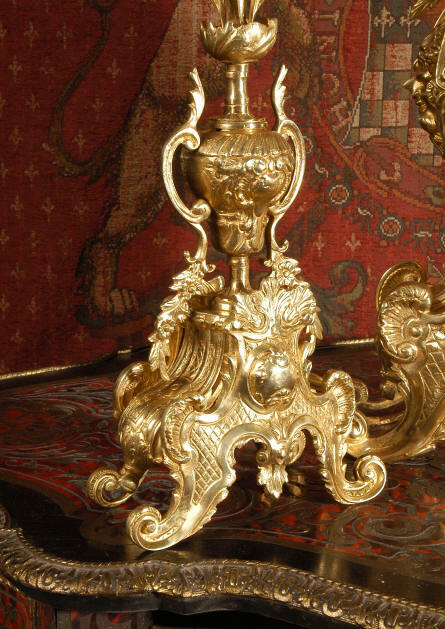 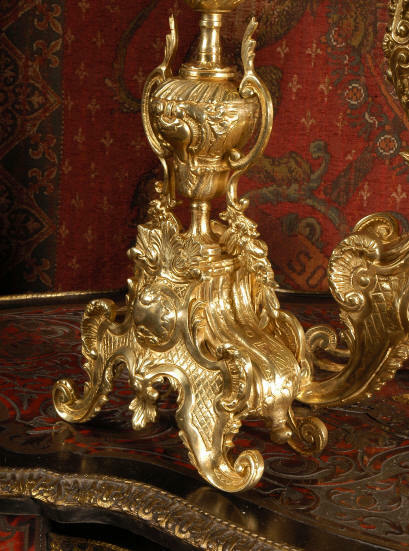 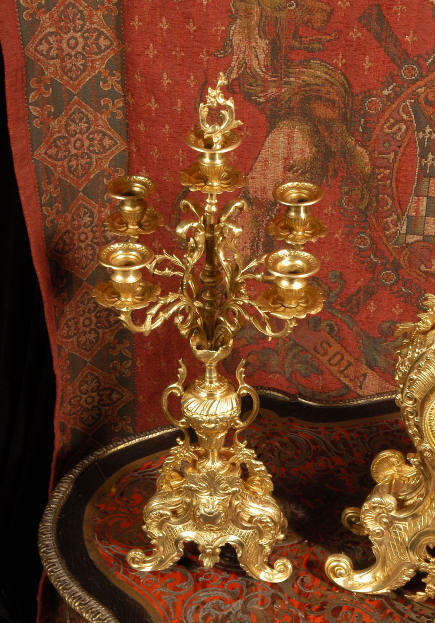 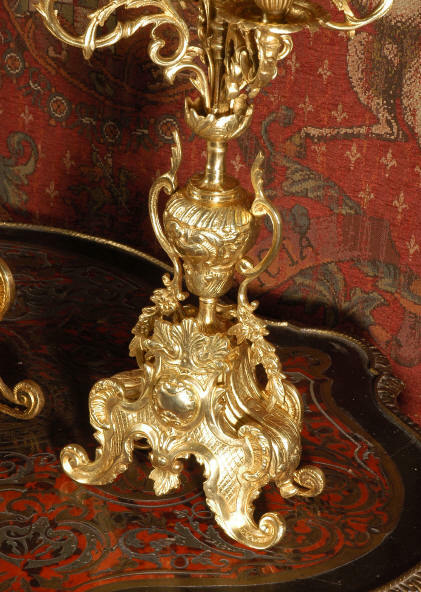 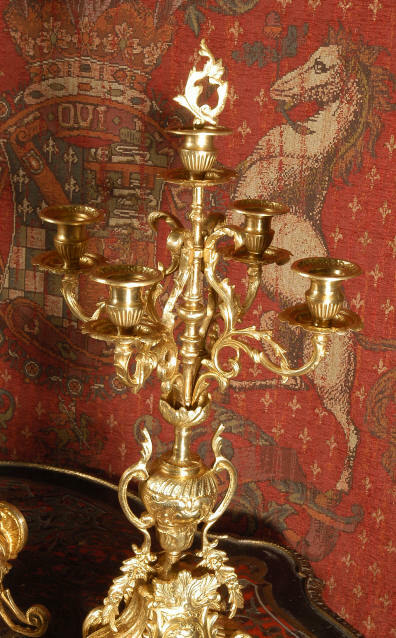 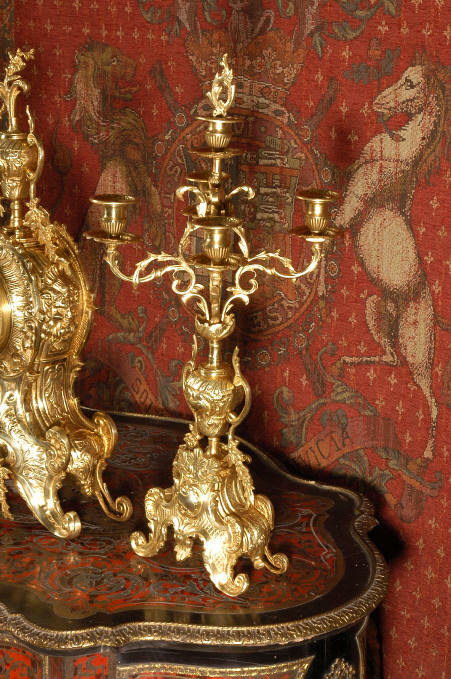 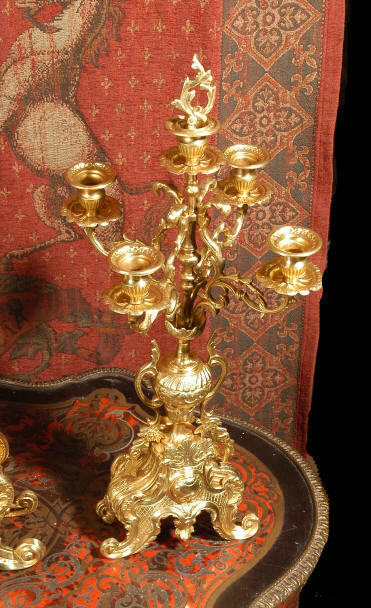 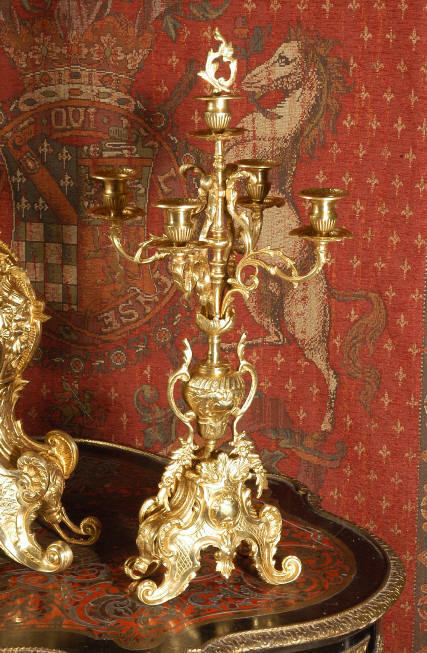 The candelabra arms are very slightly distorted, one sconce top is a little flattened. 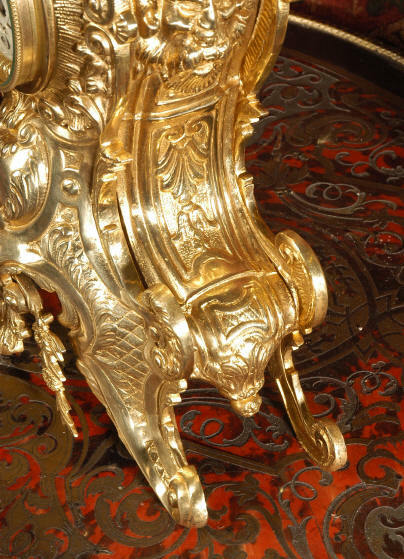 See the pictures below, the set looks great! 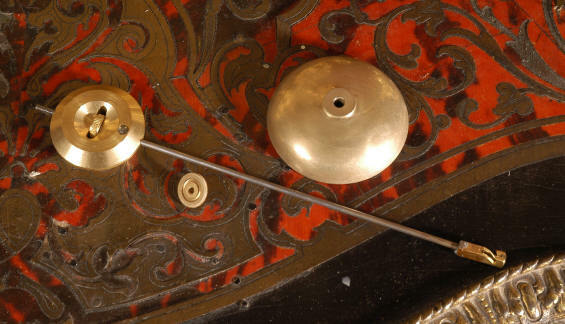 Complete with pendulum, bell and a suitable key. 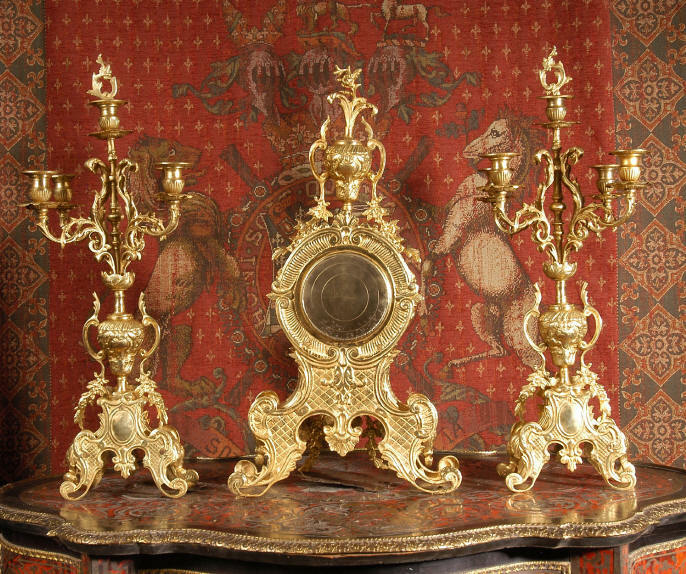 Full setting up instructions supplied if required. A large and stunning clock set ready for your home! 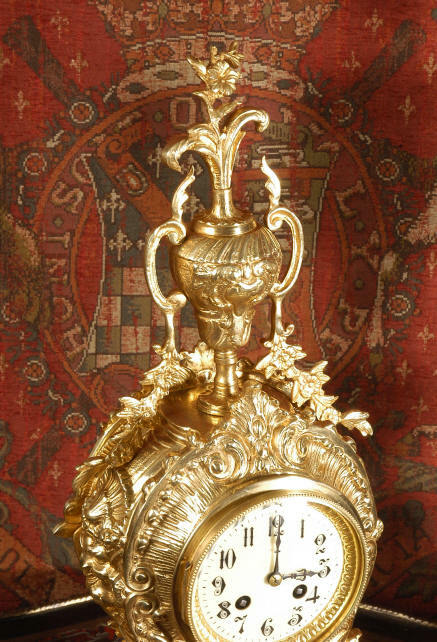 Dimensions of clock: Height 23 1/4", Width 12", Depth 5 1/4". 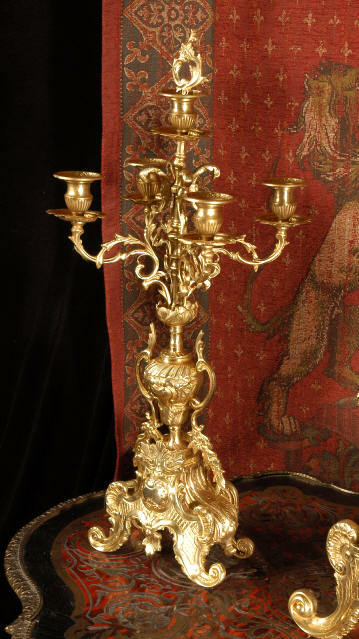 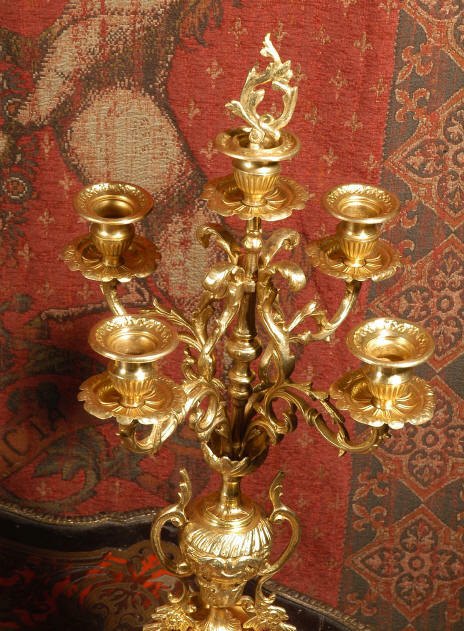 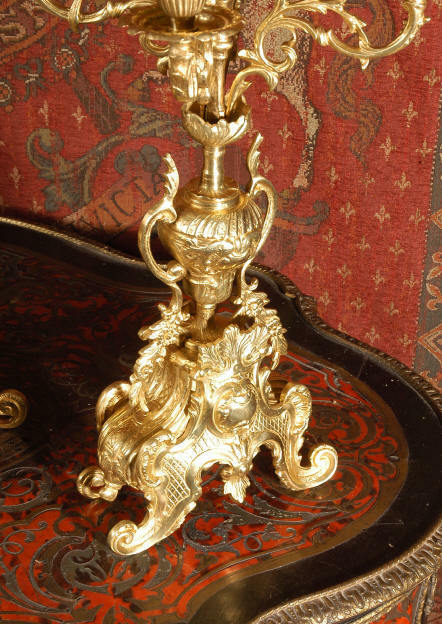 Dimensions of candelabra: Height 23 3/4", Width 8 1/2", Depth 8 1/2". 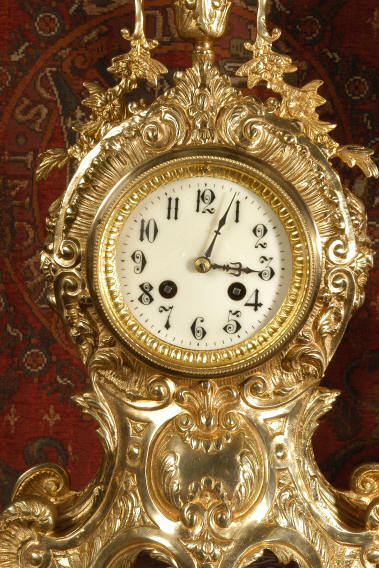 Click the movie player below to hear the clock run and strike! 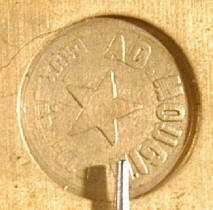 A D Mougin clockmakers mark on the movement backplate. 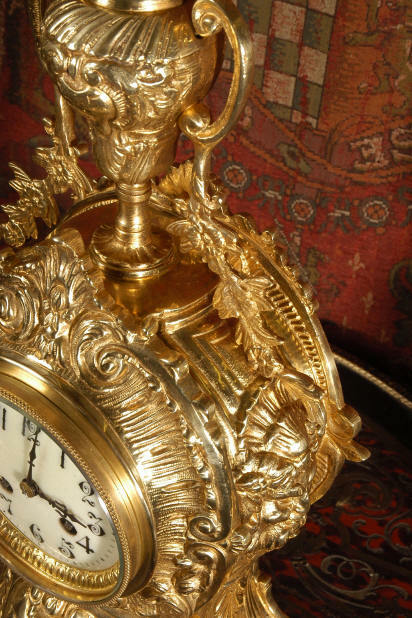 International shipping to USA will be �75 (Large and Heavy) by Air with insurance. 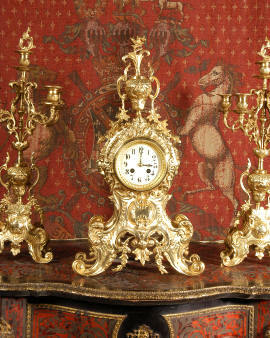 Secure Server - click here to complete your purchase! 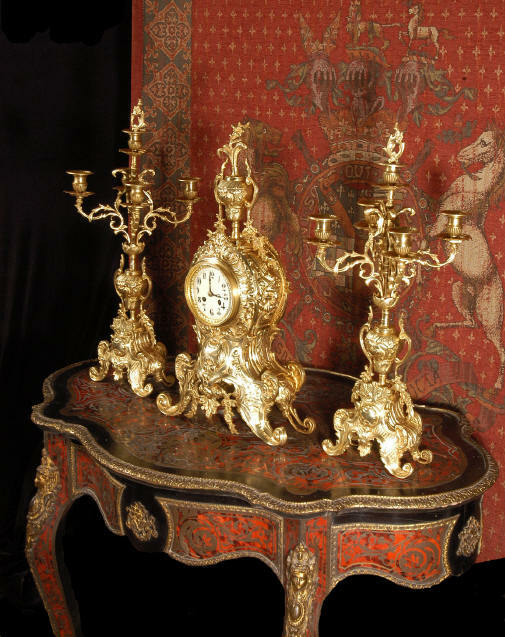 Please email any questions to Julie@Dragon-Antiques.com. 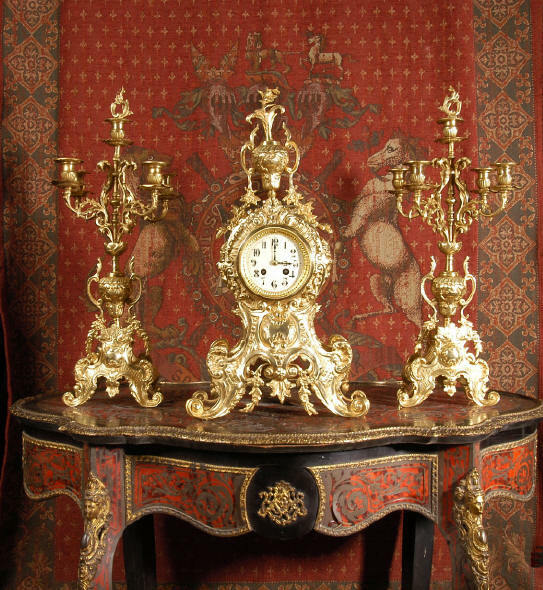 Secure Server - after the auction click here to complete your purchase! 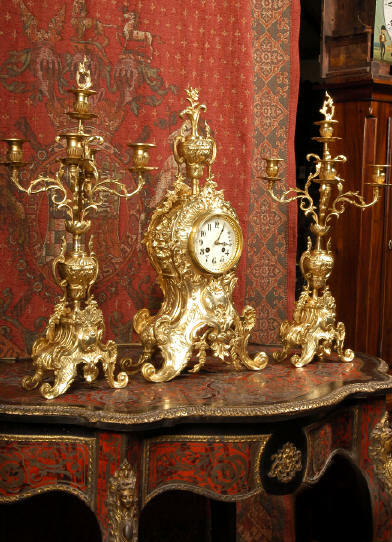 Customer satisfaction is always guaranteed at Dragon Antiques!